Image courtesy of www.ww1 Cemeteries.com. Died: 9th July 1916; age: 27; KiA. Date of Entry Therein: 15th July 1915. Rank: Sergeant; Service Number: 92704. Regiment: Royal Field Artillery, 26th Battery. Relatives Notified & Address: Son of Mrs. Styles, of 16, Albert Road, Colchester, Essex. 1891 16, Gower Street, St. Peter’s, Ipswich. Henry Albert Styles, 33, a Railway Guard, born Roydon, Norfolk. Isabella Styles (nee Foreman), 29, born Scole, Norfolk. Beatrice Maud Styles, 9, born Chelmsford, Essex. Thomas Henry Styles, 6, born Chelmsford. 1901 7, Orchard Road, Colchester, Essex. Henry, 45, a Railway Guard. Gertrude Elizabeth Styles, 8, born Ipswich. Henry Albert Styles, 5, born Ipswich. Ethel May Styles, 3, born Colchester. 1911 16, Albert Road, Colchester, Essex. Frederick was 21 years old, a Railway Porter – Great Eastern Railway Coy. He was living with his parents & siblings. 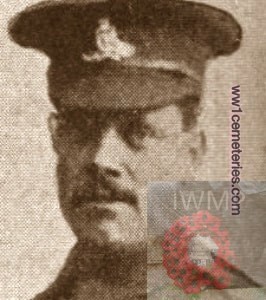 Henry, 56, a Railway Guard – Great Eastern Railway Coy. Gertrude, 18, a Machinist – Tailoring – own account. Harry, 15, a Railway Porter – Great Eastern Railway Coy. Soldiers’ Effects to Isabella Styles – mother.